The Crowley is a collaboration with Delicious Junction and legendary DJ, presenter and all round gent – Gary Crowley. Steve Ellis on making the album Boom! Bang! Twang! 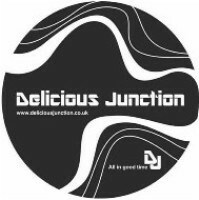 Del Junction updated their profile picture. Women's clearance sale, all shoes on the images attached now just £20 (still with free UK delivery). Click on each image to see sizes available.